Welcome to San Diego's leading provider for chemical peels, acne facials, and pigmentation brightening treatments! We're here to help you achieve the brightest and most beautiful skin possible. All treatments are performed with expert level precision, so you achieve beautiful results with minimal downtime. Choosing the right chemical peel or skin care practitioner can be an overwhelming process. We applaud you for doing your research. We're honored to help make this process comfortable and easy, so you can achieve your ultimate skincare goals. We feel blessed to have served thousands of happy clients over the last 12 years, and would love nothing more than to help you feel more confident and beautiful in your skin! 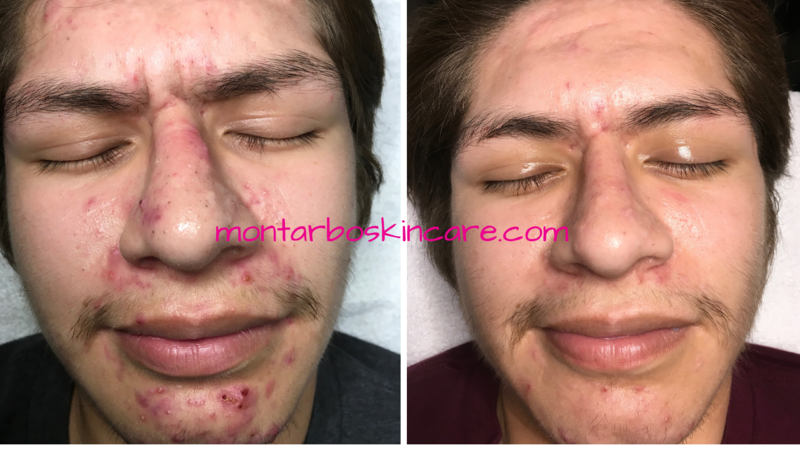 At Montarbo Skincare, we believe you can achieve your skincare goals regardless of your age, genetics, skin type or budget. We offer a plethora of unique services that are customized to your specific skin type, concerns and goals. simply feel more confident in your skin? You've come to the right place. We can't wait to meet you and answer all of your questions! ​Book a FREE skin consultation or appointment below. Feeling happy, hopeful and excited about your skin is possible! Ready to achieve your #skincaregoals? ​ Crystal and Cody would love to meet you, offer you a FREE skin consult, look at the products you're using, and answer your questions. Not sure if we can be trusted with your skin type because your skin is sensitive? ​We love a good challenge! We specialize in working with sensitive skin and all ethnicities. Can't get your pigmentation brighter no matter what you use or do? Let us help you minimize stubborn pigmentation or melasma once and for all. Learn About Our Services including acne facials and chemical peels.